Is there a problem with your new Ford car keys? Do you need to replace them? In this article we discuss how to replace a new Ford car key in San Antonio, TX. Most of the new Ford cars come with remote key fobs and transponder keys. While they are based on a highly sophisticated technology, there is a lot of potential for them to go wrong. Your electric key may malfunction in extreme heat or cold, for example. Similarly, if it’s really very hot and you are covered in a lot of sweat and try using the key in this condition, the sweat can spread to the keys and damage the electronic chip inside the key fob. So there are a plenty of reasons for your car key to malfunction. Here’s what you should do when this happens. First, reset all keys. The key fob can malfunction after you have just replaced the car’s battery and had major repair work done to your car’s electrical systems. In that case, find the owner’s manual, follow the instructions and reset all the keys of the car. Next, replace the battery in the key fob is you feel that the key isn’t functioning as it should. Often, the reason for the key to go wrong is a weak battery. The replacement battery for the key fob shouldn’t cost you much. You can buy it from an electronic store or from a locksmith shop. For this, you will need to have the VIN number of the car with you. You should also note down the make, model and the year of manufacture of your Ford car. Once you get a new battery, replacing the old one should be easy enough. You will need a small screwdriver for this. Use it to unscrew the back of the key, detach the old battery and place the new battery in its position. That’s simple enough. You can do this yourself; there is no reason to get the key fob battery replaced by the car dealer or manufacturer. If this doesn’t work, then it is possible the key has to be reprogrammed. Clearly, reprogramming the transponder key of your Ford car is something you cannot do yourself. You should trust an experienced automotive locksmith in San Antonio, TX to do this for you. They would know exactly how to go about this. Hiring an San Antonio locksmith to program the transponder key of your new Ford car makes a lot of sense. They charge a fraction of what it would cost you to get the key programmed by a dealership. Also, they arrive at your location and do most of the work on-site. A dealer would expect you to have the car towed to them at your cost. Finally, a locksmith would program and replace the new Ford car keys in just a few hours or within a business day or two. A dealership, on the other hand, would take a couple of weeks for this task. So hiring a car locksmith in San Antonio to replace your new Ford car key is the obvious thing to do. 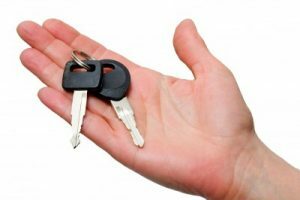 San Antonio Car Key Pro’s is a San Antonio based locksmith service that is fully capable of replacing any type of Ford car keys. Call us at (210) 960-8984 we will be sure to dispatch an experienced and licensed locksmith technician to your location in quick time. How to Replace a New Ford Car Key in San Antonio https://carkeyssanantoniotx.com/replace-new-ford-car-key-san-antonio/ 4.2/5 based upon 25 reviews.